Originally, these ideas held because no one really knew how to maintain a great smile over a lifetime. Unfortunately, “popular wisdom” still prevents some people from recognizing how modern dentistry can keep teeth natural, attractive and pain free. Do any of the following notions sound familiar? If so, get ready for a little relief! The Reality: This myth used to be true in many cases, but thankfully with modern medicine and dentistry, there’s no longer need for you to lose a single tooth. The Reason: Moms used to lose teeth partly because their calcium was being diverted during pregnancy for fetal development. Chances were, she wasn’t taking enough vitamin C “for two”—or maintaining her normal level of daily oral hygiene. We strongly encourage moms-to-be to make an appointment for a tooth-preserving hygiene and oral examination. Protecting your teeth may be important for baby as well. A recent clinical study suggests there is a link between gum disease in pregnant mothers and low birth weight or premature babies. Treating your perio early in pregnancy just might benefit the newest family member! The Reality: Not true! There are many different things that can cause a tooth to ache, but many of these conditions can be treated and your natural tooth saved. The Reason: Even if the pain is caused by an infected nerve, modern root canal techniques can usually save the tooth—while definitely relieving the pain. Often cracks, broken teeth, and painful gums can be treated long before tooth extraction is the only remaining option. The secret is to visit your dentist before the pain gets worse! The Reality: This myth may seem true, but it has very little to do with the teeth and more to do with the environment in your mouth. Every mouth is different, and some are more decay-resistant than others. Some are tartar producers, others have antibodies that fight plaque more effectively. But regardless, no tooth today need be considered naturally cavity prone. 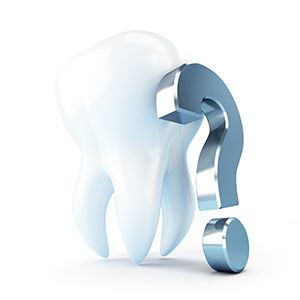 The Reason: No matter what the chemistry of your mouth, dentistry can help preserve, protect, and defend teeth! Veneers, crowns, bonding, better fitting removable appliances can all make you feel great about your teeth. The Reality: Mouthwash, largely alcohol, can kill some bacteria and freshen the breath temporarily. But it can’t dislodge plaque or prevent decay. The Reason: Mouthwash temporarily masks mouth odor, but persistent halitosis is almost always a signal of something seriously wrong. If you are troubled with persistent bad breath, a dental appointment can help determine the real cause. A Band-Aid approach—gargling with mouth-wash—may allow the condition to go from bad to worse. Dr. Mark Backhus is a native of California, born in Mountain View and raised in Santa Clara. He did his undergraduate work at San Jose State University before attending UCLA School of Dentistry where he graduated in 1992. Dr. Mark moved to the Sacramento region in 1993 and began providing quality dental care to the area. In 1999, he transitioned into private practice in Carmichael. He is an active member of the American Dental Association, the California Dental Association, and the Sacramento District Dental Society. Dr. Mark, his wife Dr. Maryvette, and their two daughters, have lived in Carmichael since 2001. He enjoys spending time with family, traveling, skiing, and cycling. ©2014 Mark E. Backhus, DDS. Site by Deploy Dental.